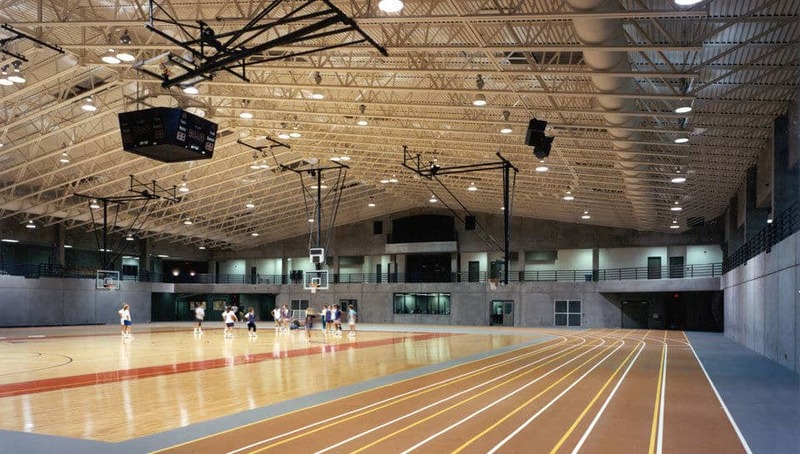 Burns Athletic Center - Missouri Valley College - PWArchitects, Inc.
A strong, aesthetically pleasing building is important for any college’s Athletic Program. However, it is vital for small colleges. A facility that promotes the athletic program will help draw visitors as well as recruits. An athletic training area is located between the men’s and women’s locker rooms. The men and women each have two locker rooms, one for varsity athletes and the other for faculty and other students. This building is equipped with a sprinkler system and is served by an elevator. The classrooms feature built-in conduits for computers and other audio/visual technology. 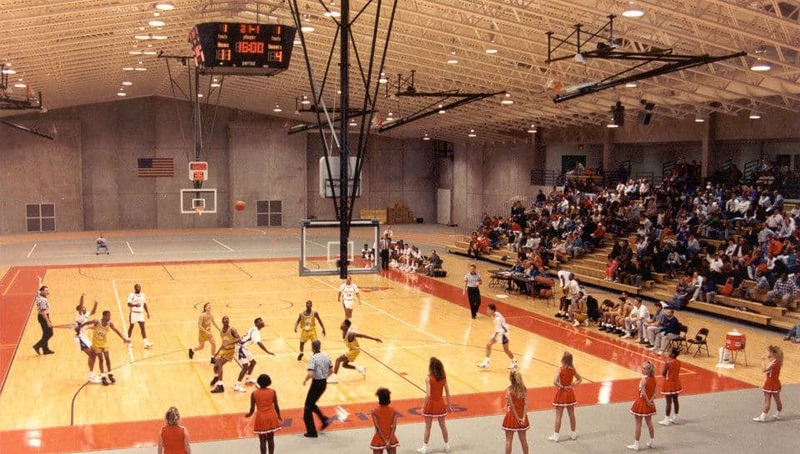 This athletic complex was designed for teaching, recreation and performance to meet the long-range needs of Missouri Valley College. 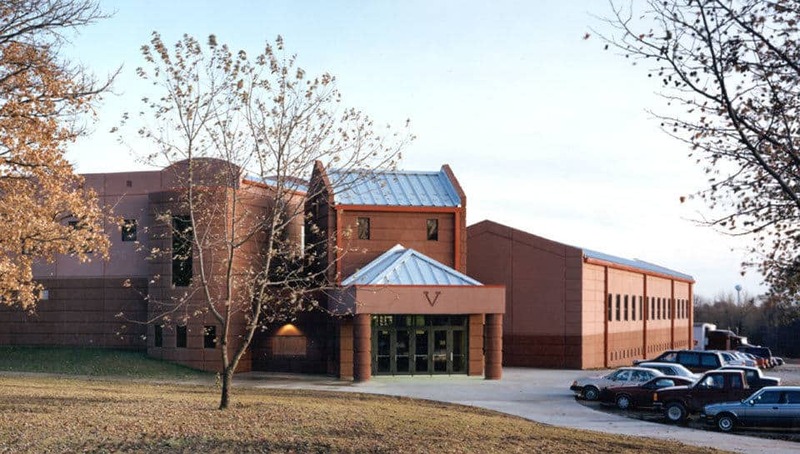 The interior layout groups the classrooms, the offices and the athletic functions together, while the exterior appearance harmonizes with the long history of Missouri Valley College. 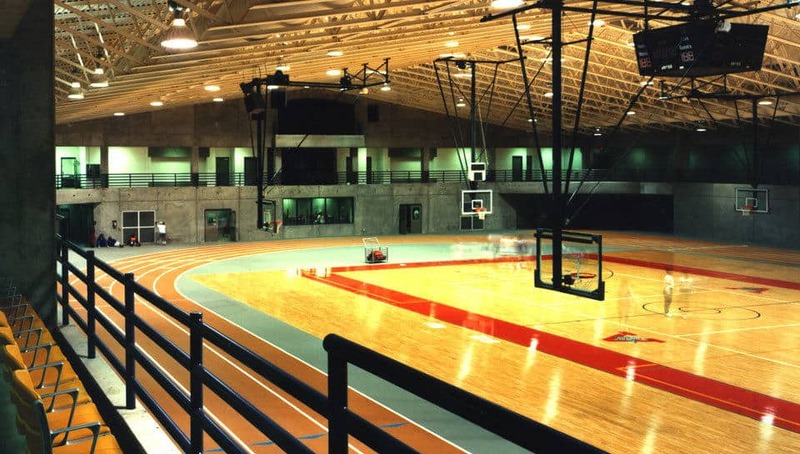 With precast stone walls and colored metal roof, the 3-story Burns Athletic Center is a striking addition to the Missouri Valley College Campus. For an added bonus, the building was finished at 25% under the original budget. And because precast constructions are less costly to heat and cool, this building will save them money well into the future. A circulation system that separates spectators from athletes.